Cast Al–Si alloys are widely used for their excellent casting properties, but their applications are restricted in some special fields because of their low mechanical properties. 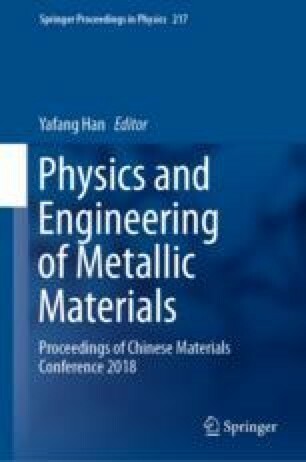 In this paper, H3BO3 and TiO2 were used as raw materials to prepare TiB2/Al–Si composites with different mass fractions by in situ generation. The effects of TiB2 particle content on microstructure and properties of the alloy were studied. The results showed that the microstructure of the alloy was mainly composed of coarse primary α-Al dendrites and long-striped eutectic Si particles. The coarse primary α-Al particles were obviously refined and the edge of acicular eutectic Si was rounded with the addition of TiB2 particles. When the particle content was low, the particle distribution was dispersed, and a large number of particles were located in the grain boundary. When the particle content was high, the particles were agglomerated and gathered at the grain boundary. With the increase of particle content, the mechanical properties of the material were obviously enhanced. When the content of TiB2 particles was 5%, the tensile strength and yield strength reached 200 and 160 MPa, which were 22.8 and 34% higher than those of matrix, respectively.